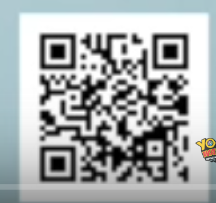 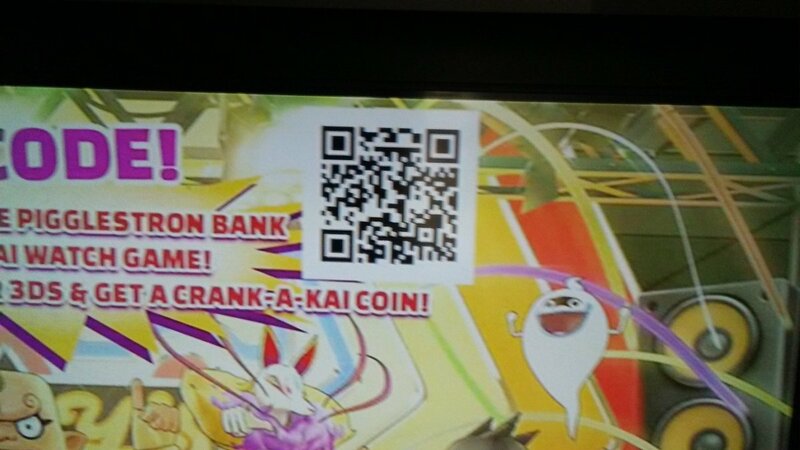 Just like the original, Yo-kai Watch 2: Bony Spirits / Fleshy Souls / Fleshy Souls is one of those games where you can get quite a lot of bonus contents by scanning various QR codes and entering various passwords. 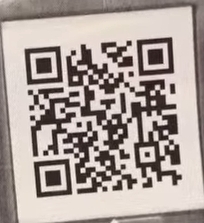 On this page, we’ve rounded up all the QR Codes we’ve been able to find, from various sources: the game itself, the anime series, toys, and more. 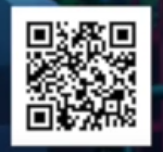 Make sure to check out the source links below for credits! 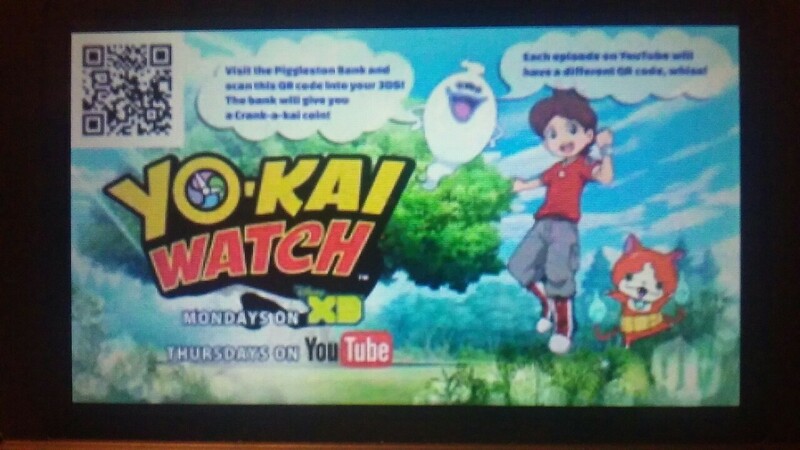 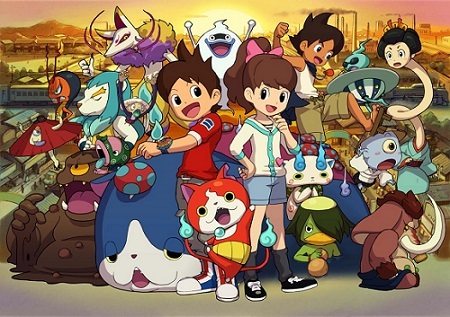 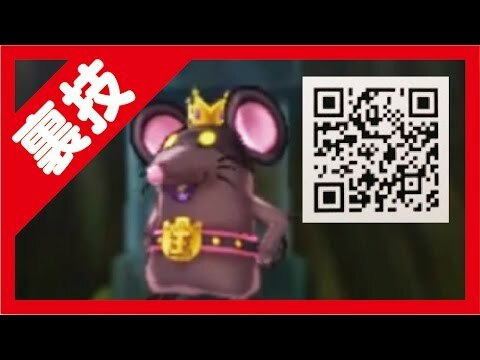 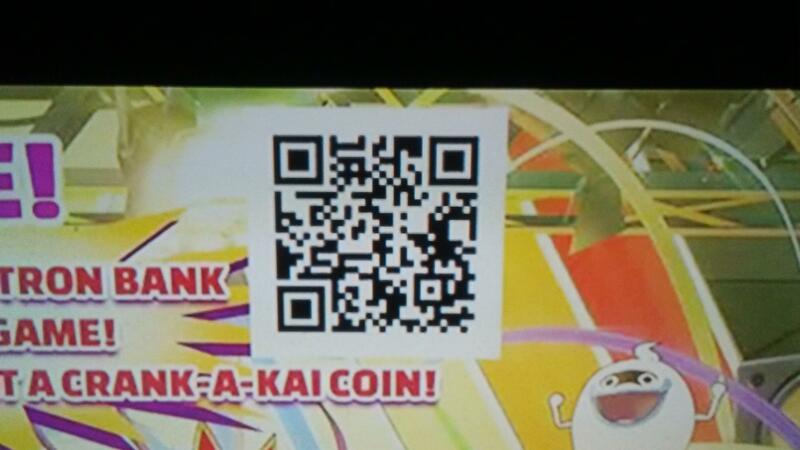 Looking for QR Codes and passcodes for Yo-kai Watch Blasters? 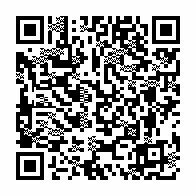 Check out this page instead! 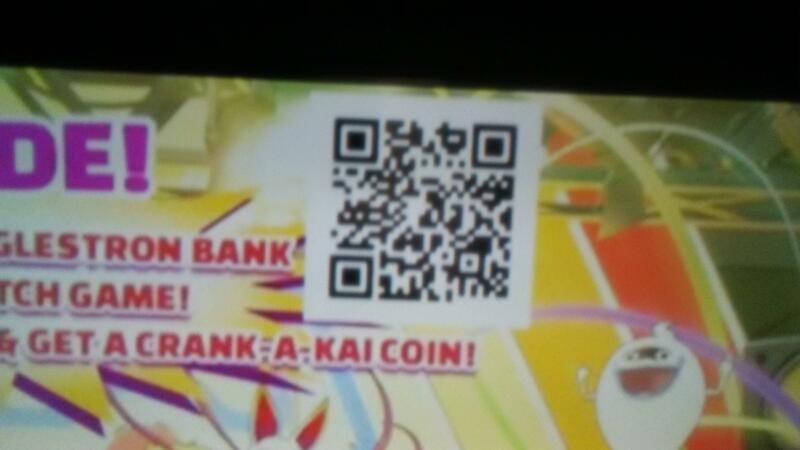 You will have to progress far enough in Yo-kai Watch 2: Bony Spirits / Fleshy Souls / Psychic Spirits to scan QR Codes and use passwords. 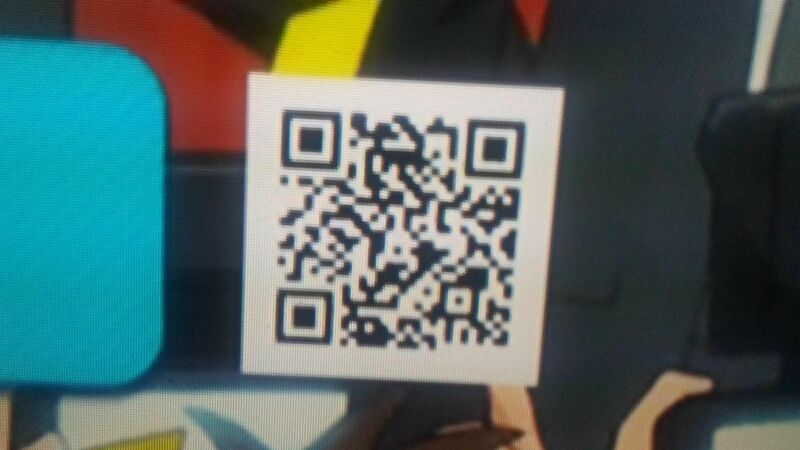 Also, all the passwords and QR Codes should work with all versions of the game! 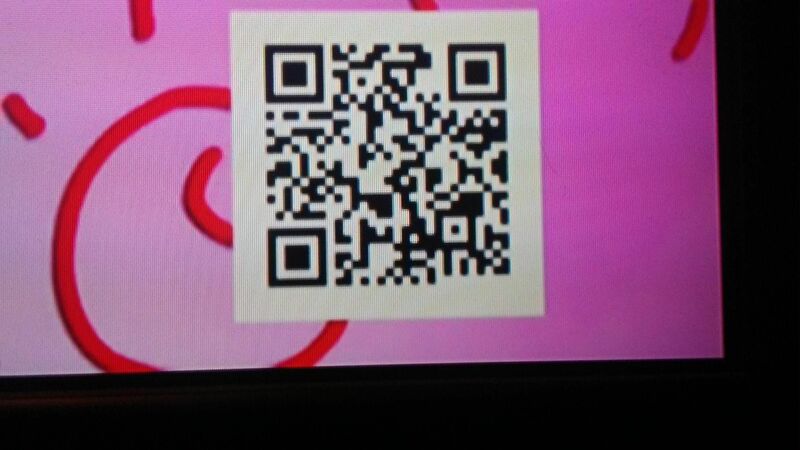 Here’s some QR Codes from Nintendo. 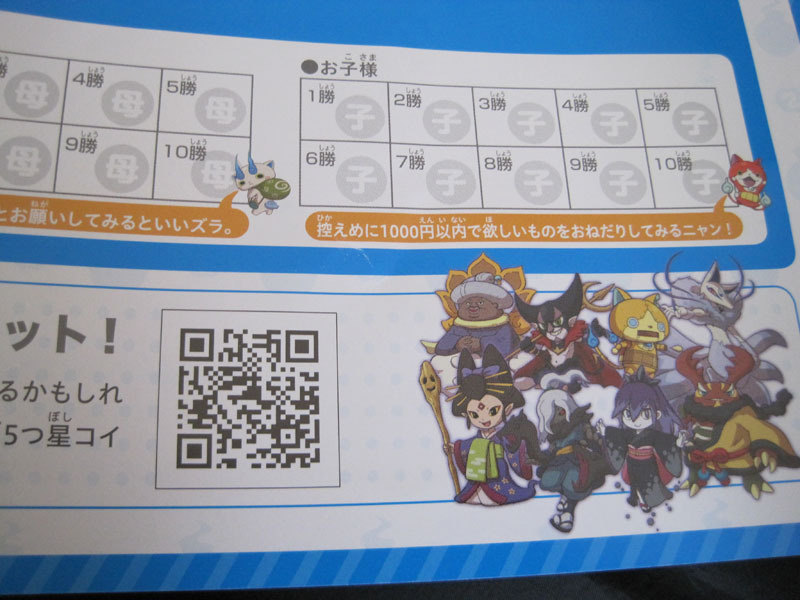 Those can be used in all versions of the game, but only once per version. 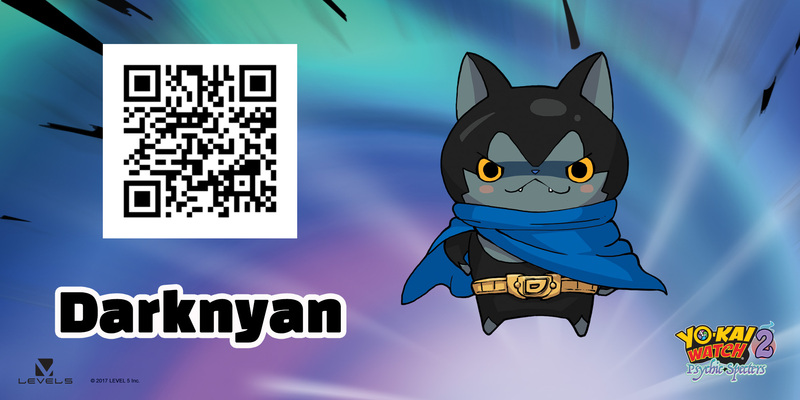 Darknyan (October 6th, 2017). 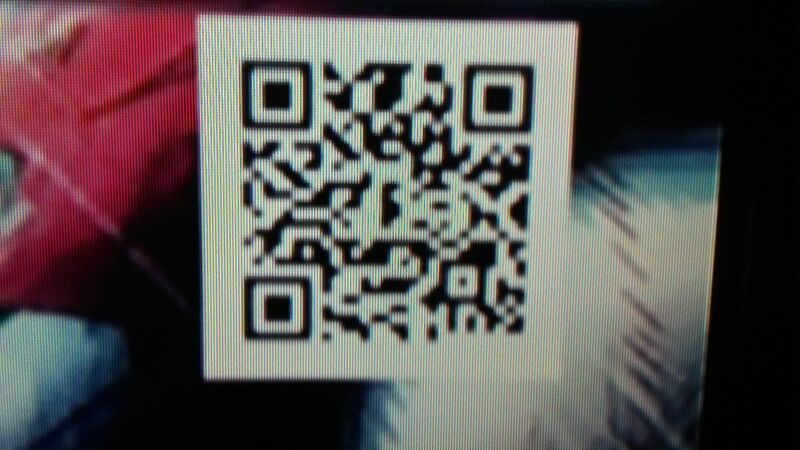 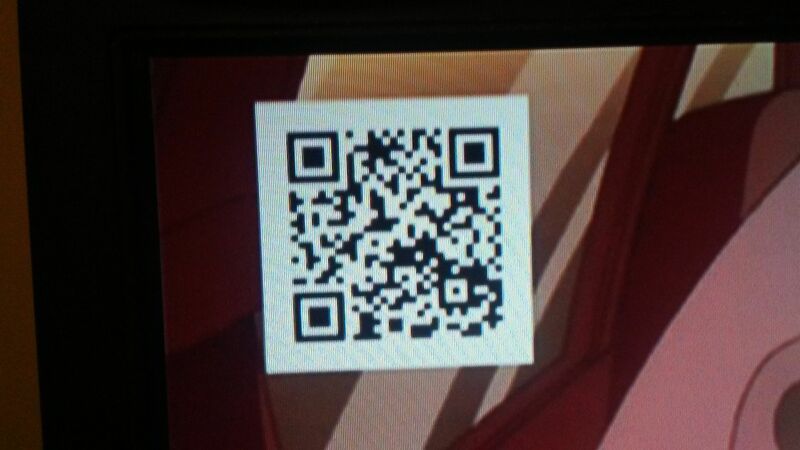 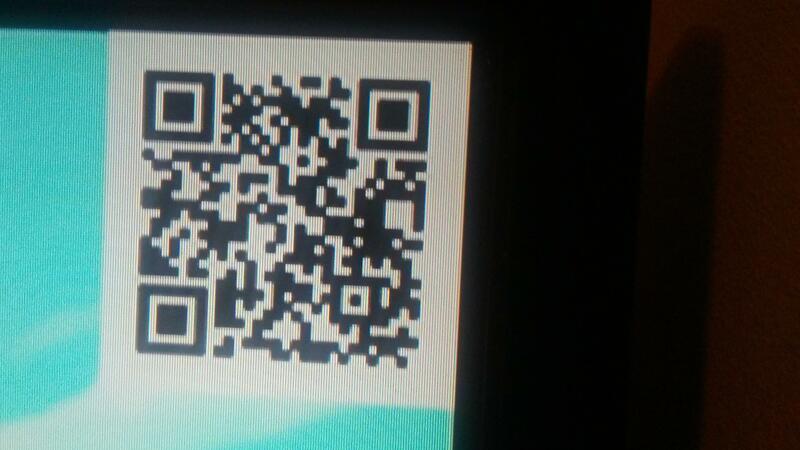 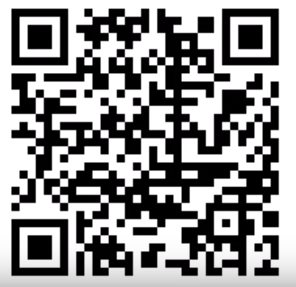 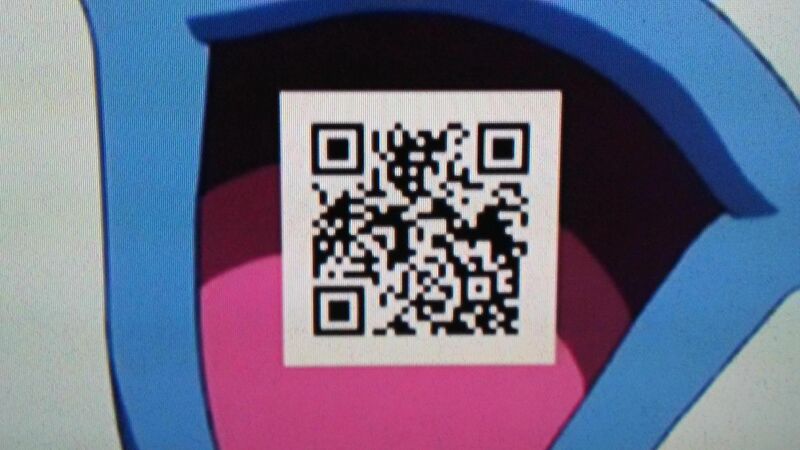 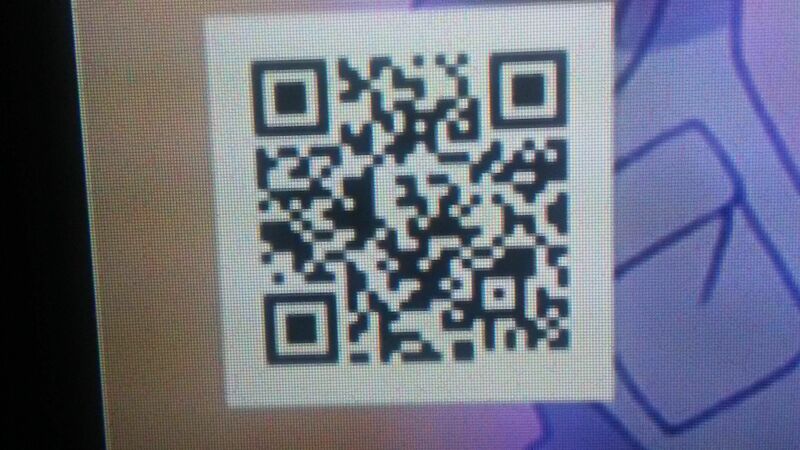 If you scan this QR Code, you will get the Dark Bell. 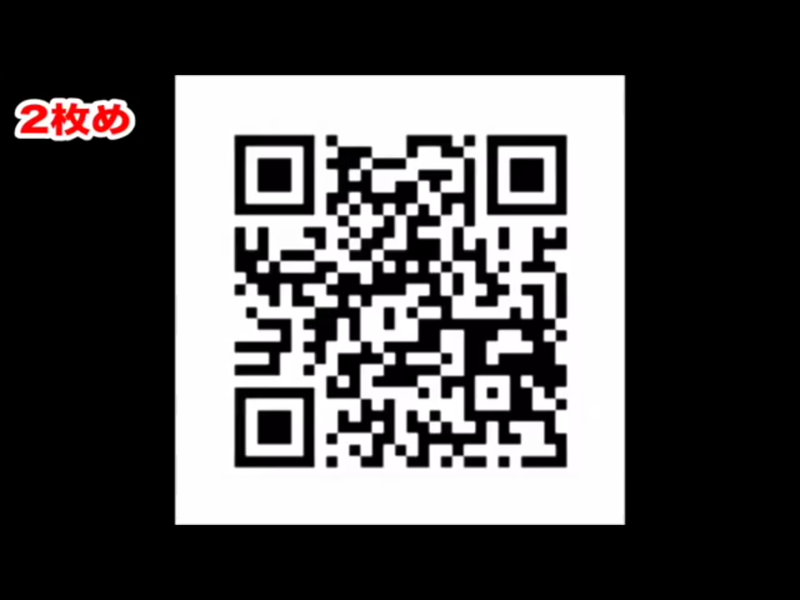 After defeating the final boss, use Miradox to go to the past, and then go to Sunset Mfg. 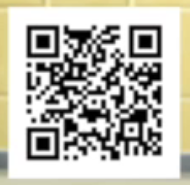 Co. – Furnace 1 to meet Darknyan. 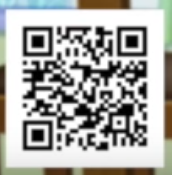 You only have one chance to befriend him per day. 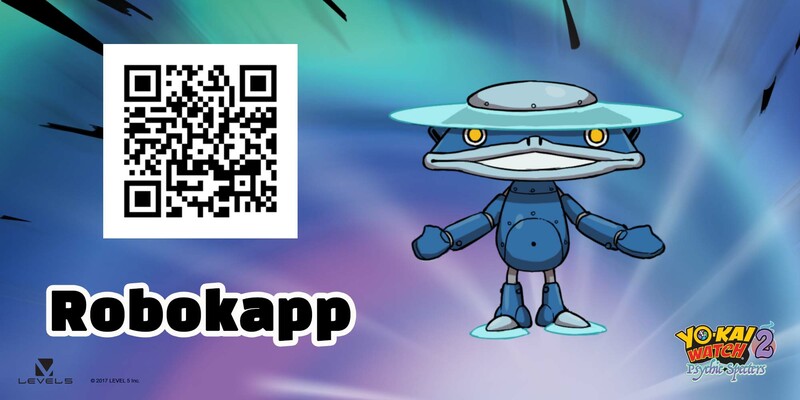 Robokapp (October 16th). 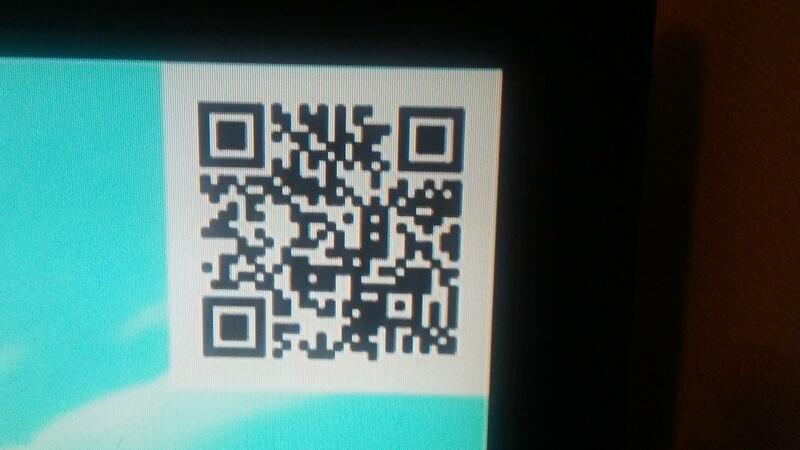 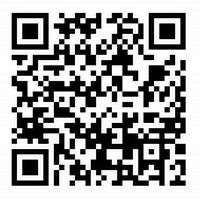 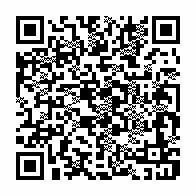 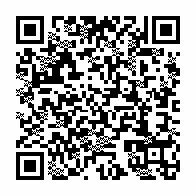 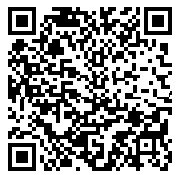 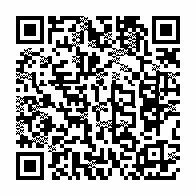 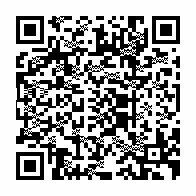 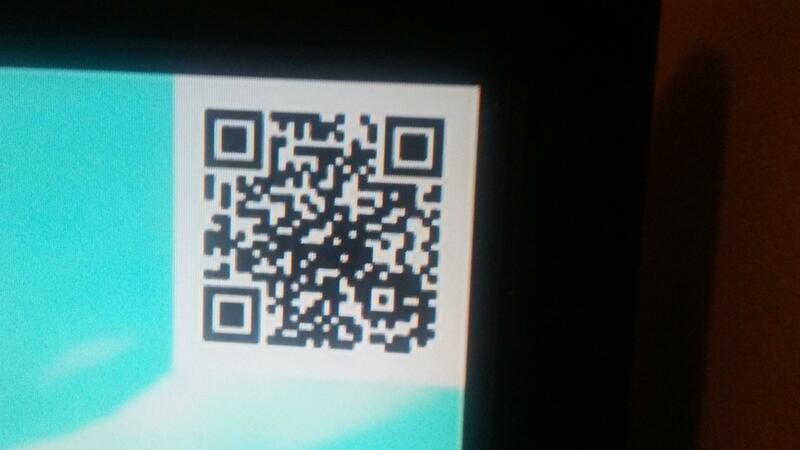 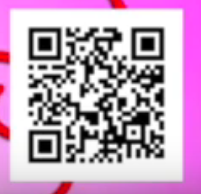 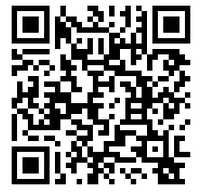 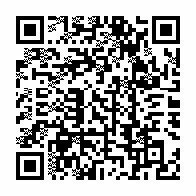 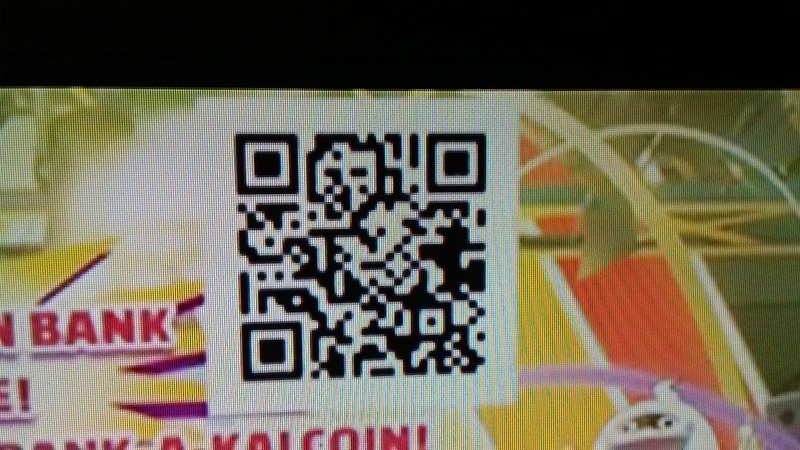 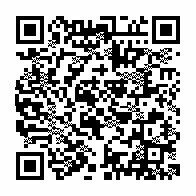 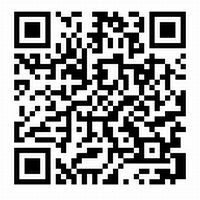 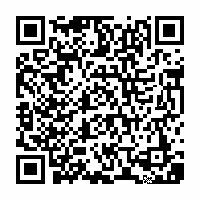 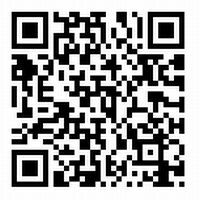 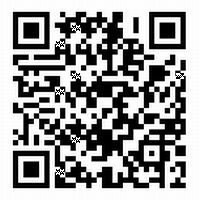 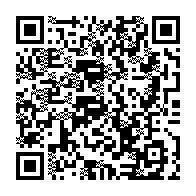 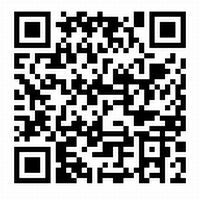 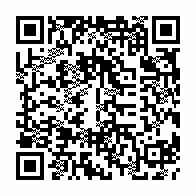 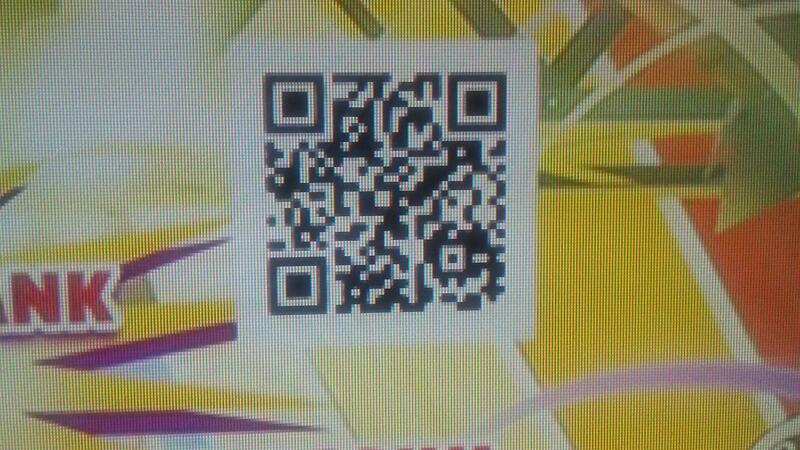 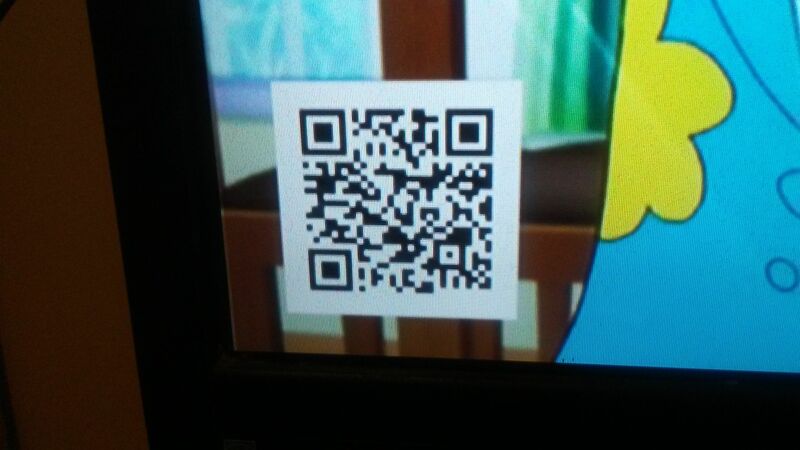 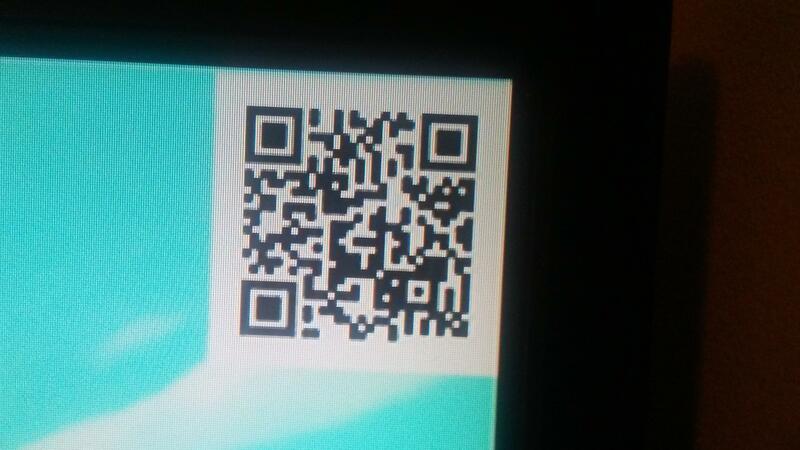 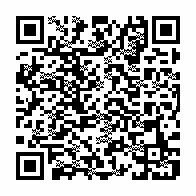 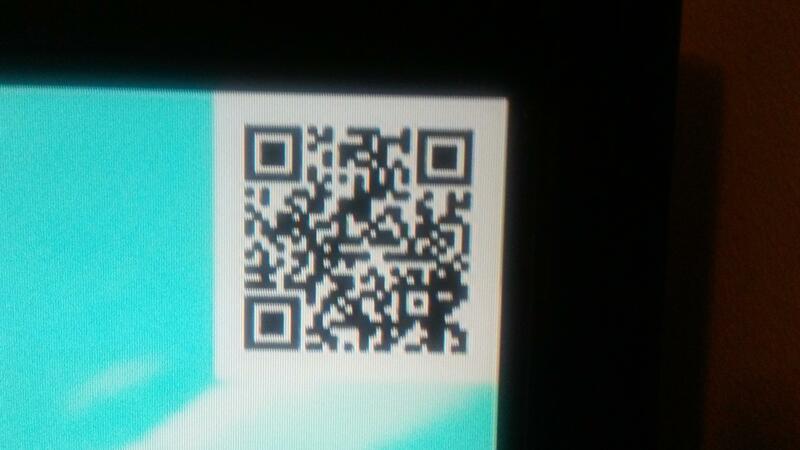 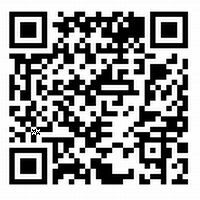 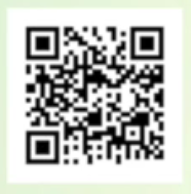 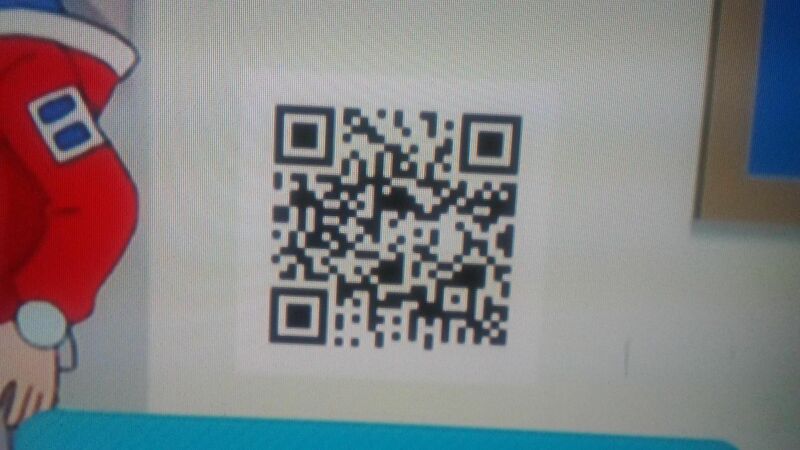 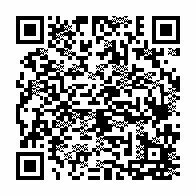 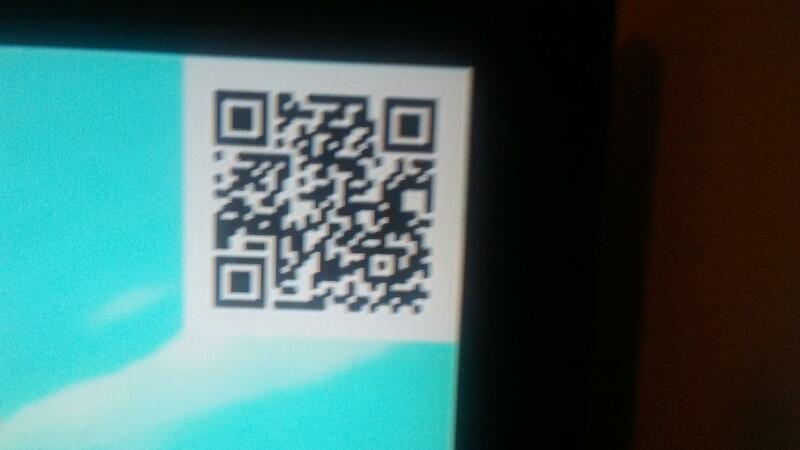 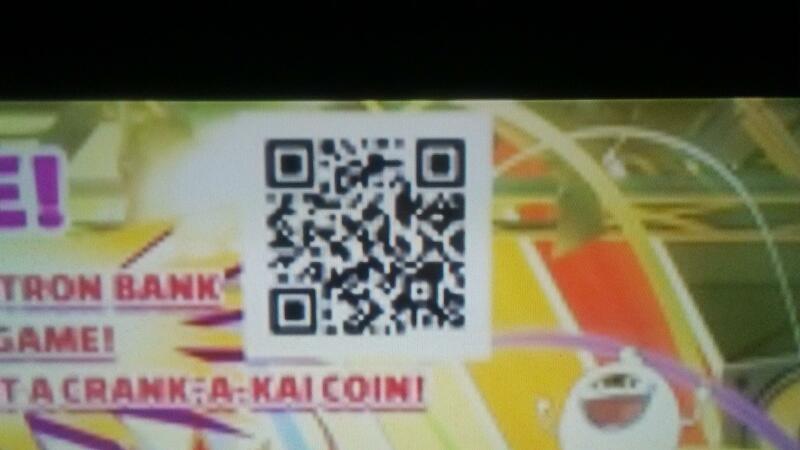 If you scan this QR Code, you will get the Walkappa Cog. 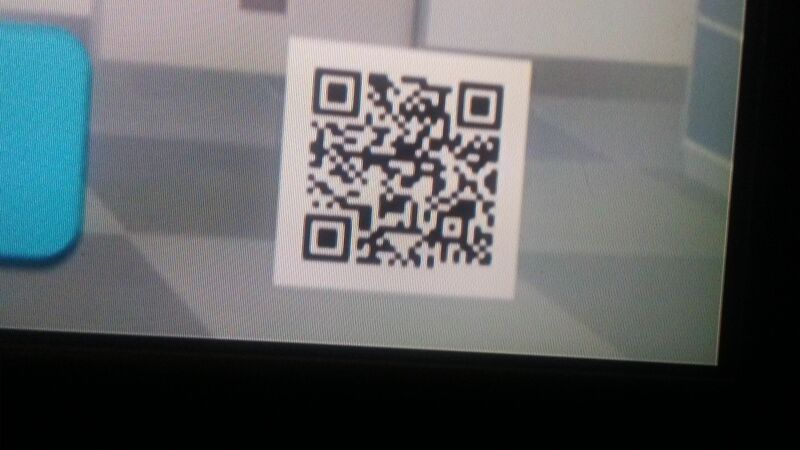 After that, go to the Green Street Station Platform, you will find Robokapp at the further left part of the platform. 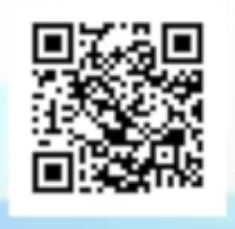 You only have one chance to befriend him per day. 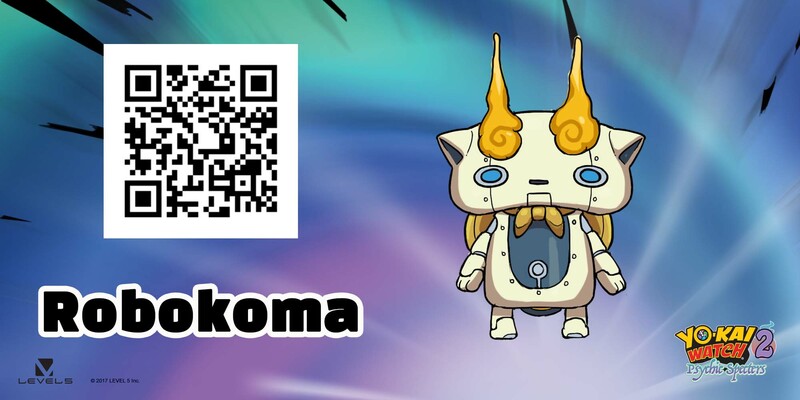 Robokoma. 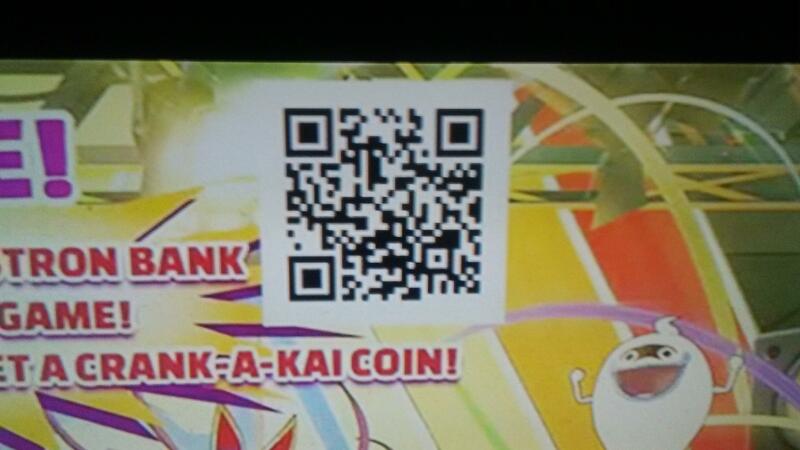 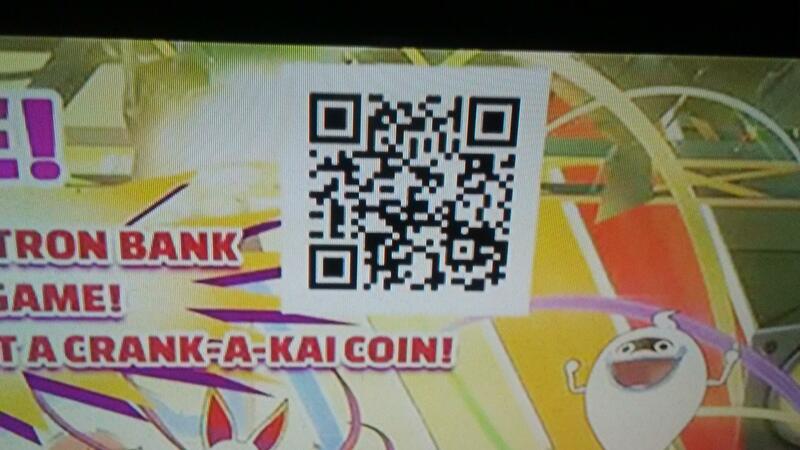 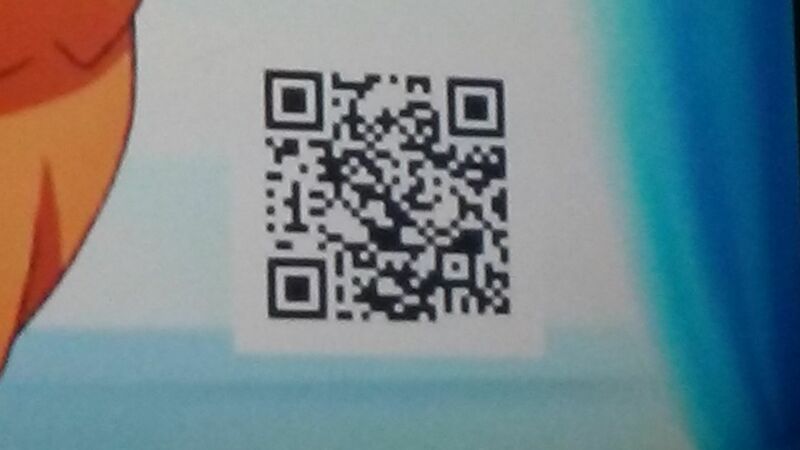 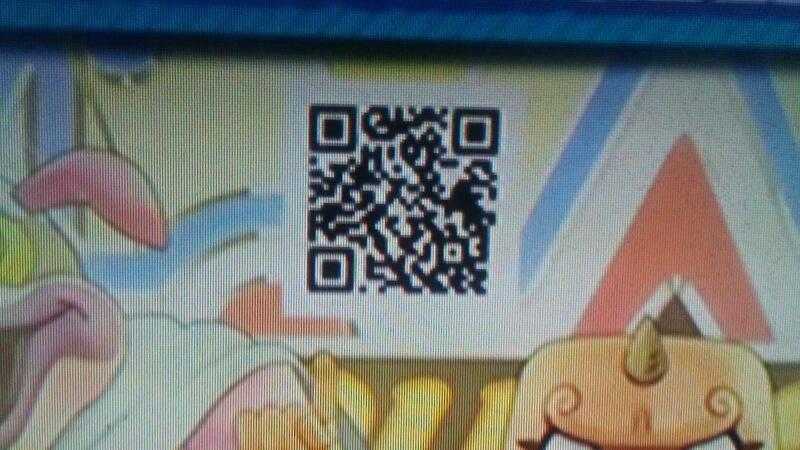 Scan this QR Code at Piggleston Bank to receive the Komasan Cog. 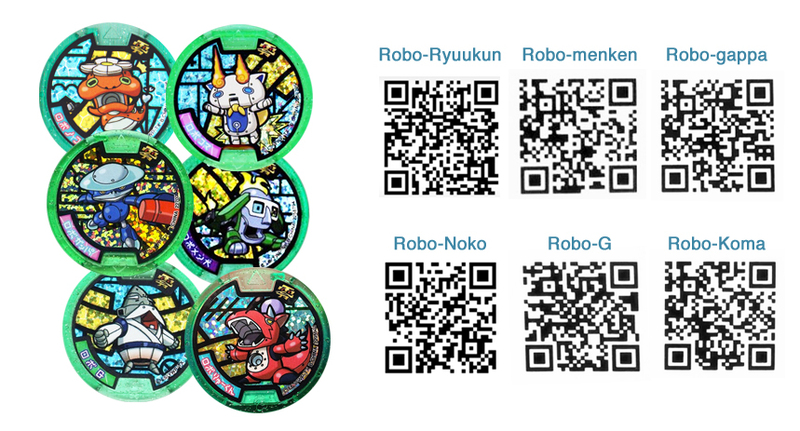 After that, go to the Hibarly Hills Station Platform, and you will find Robokoma at the furthest left part of the platform. 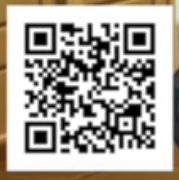 You only have one chance to befriend him per day. 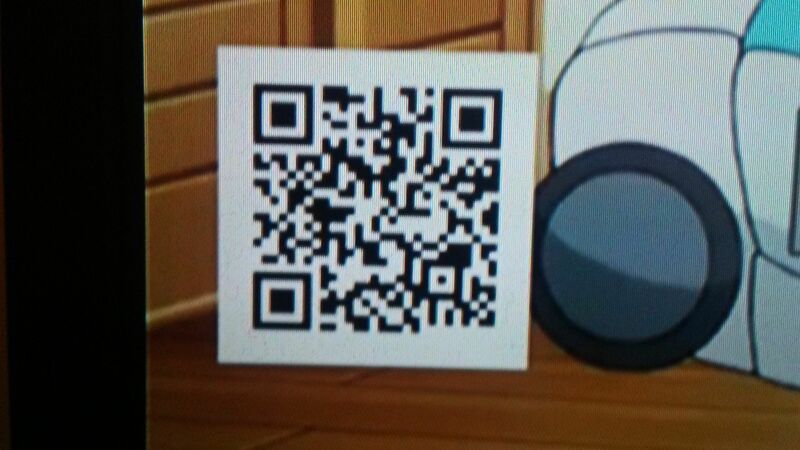 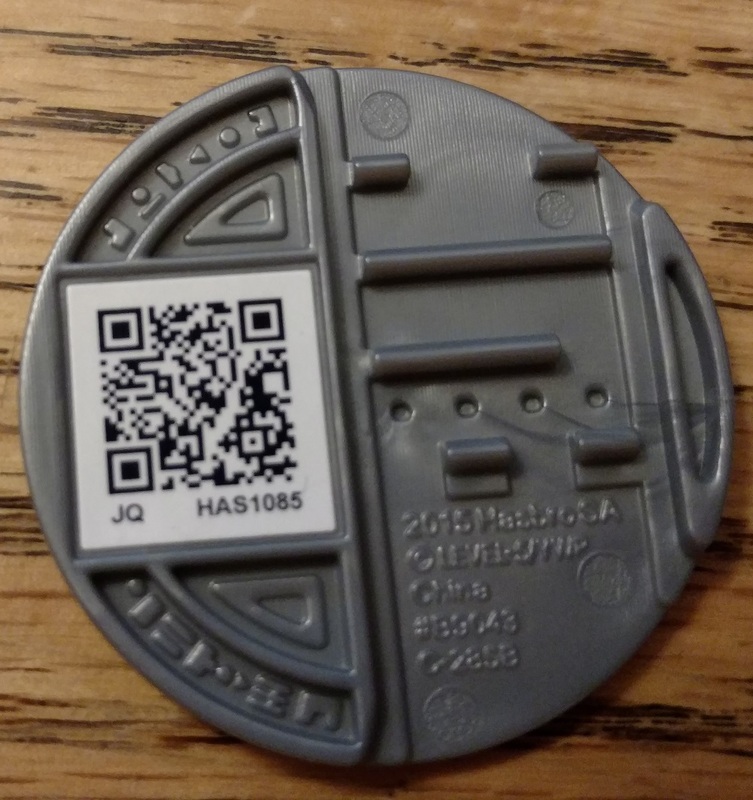 Robogramps (November 13th):if you scan this QR Code at Pigglestone Bank, you will receive the Hungramps Cog. 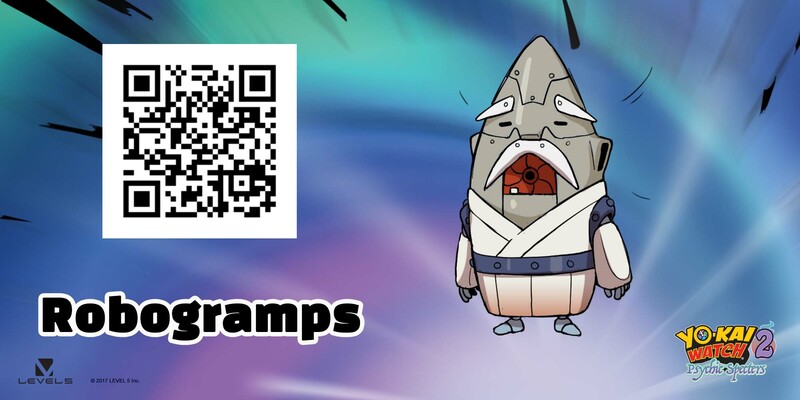 With it in hand, go to the Temple Park Station Platform, and you will find Robogramps at the further left part of the platform. 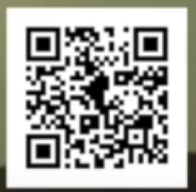 You only have one a chance a day to befriend him. 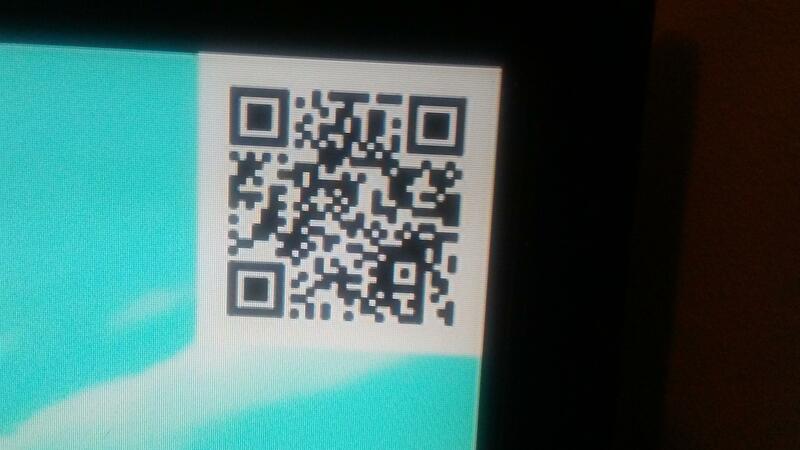 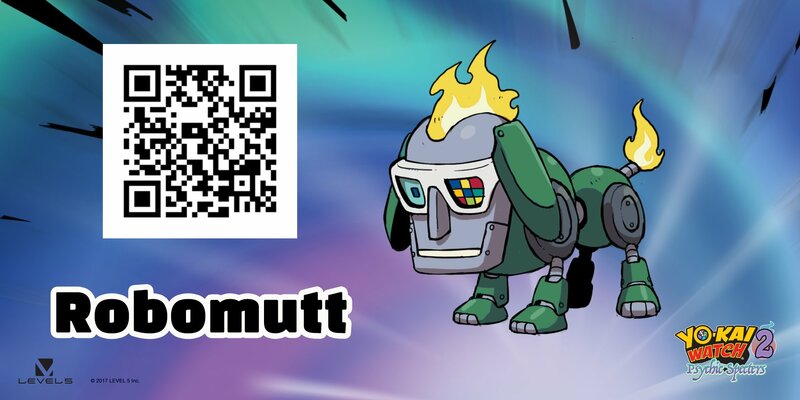 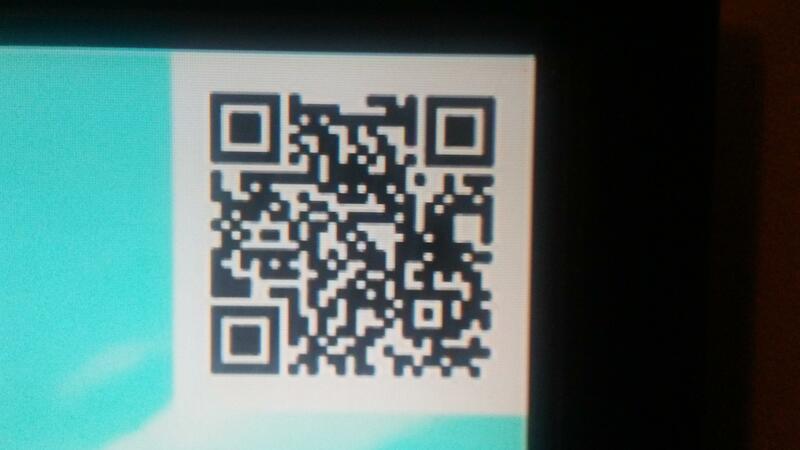 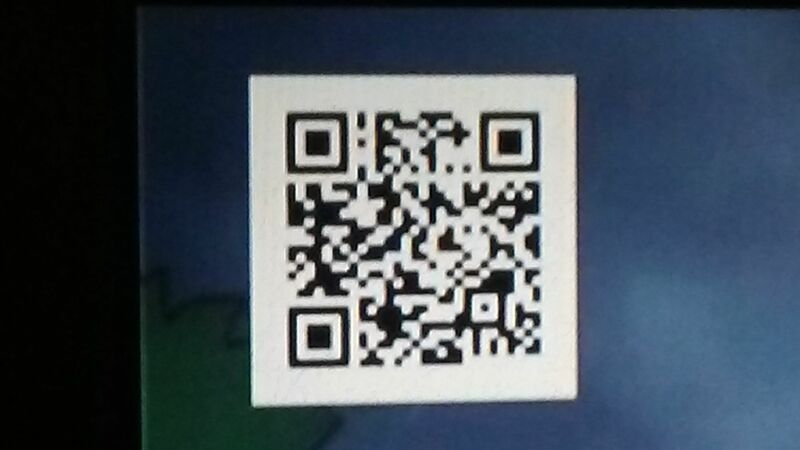 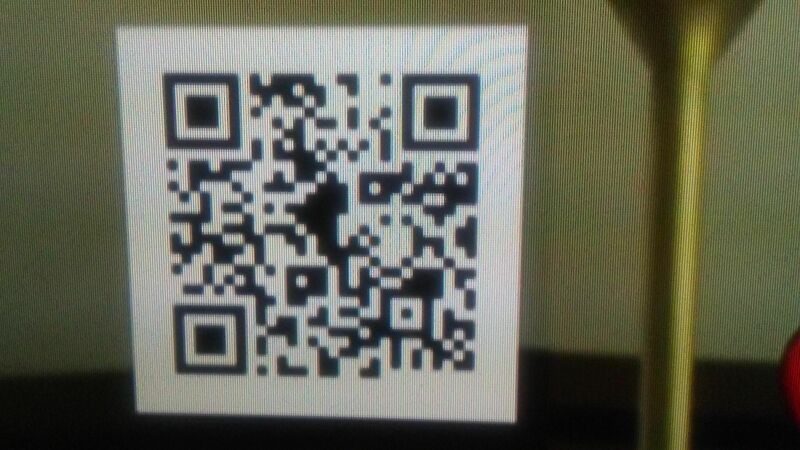 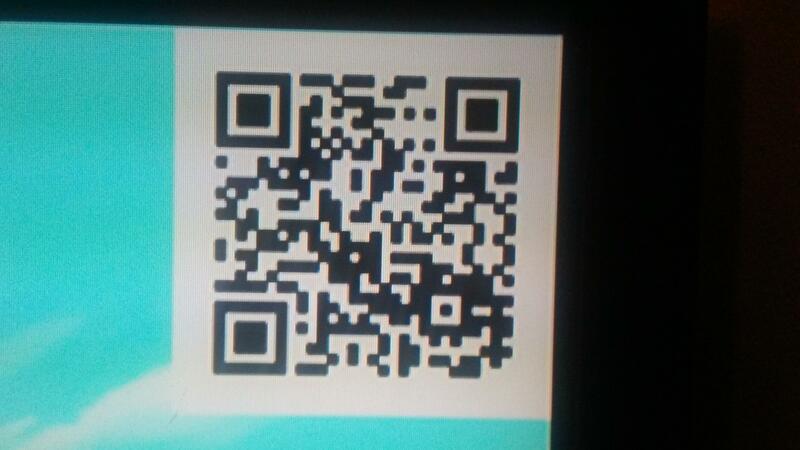 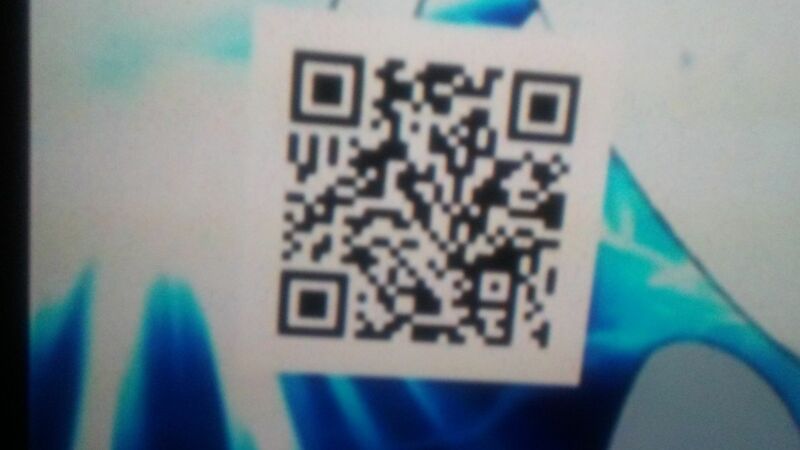 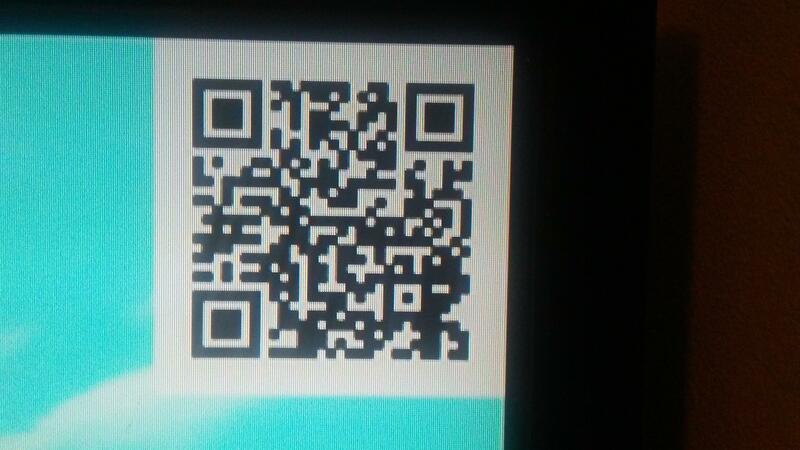 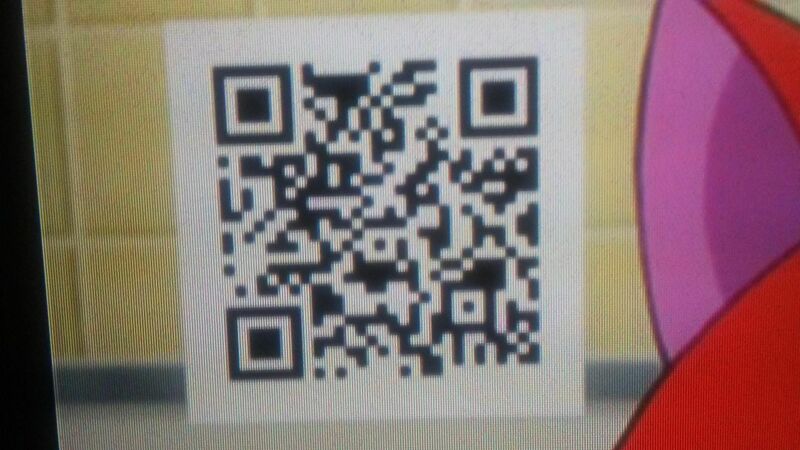 Robomutt (November 28th): if you scan this QR Code at Piggleston Bank, you will receive the Manjimutt Cog. 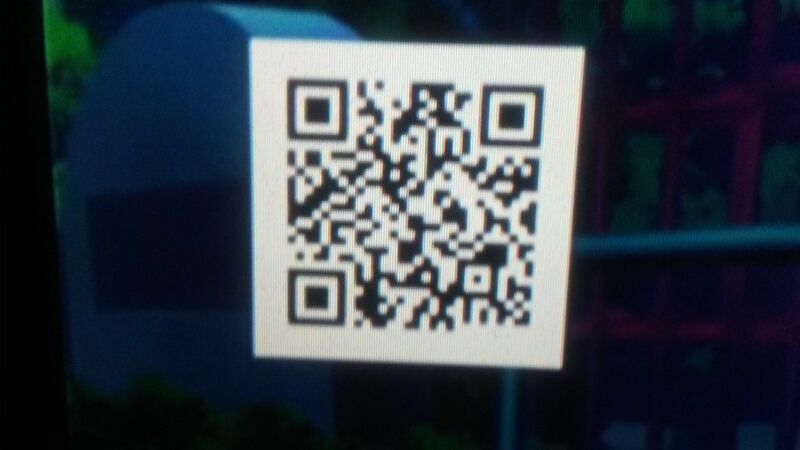 With it in hand, go to the Bayside Station Platform, and Robomutt will be at the furthest left part of the platform. 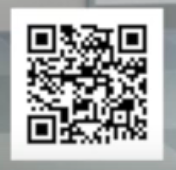 You only have one chance a day to befriend him. 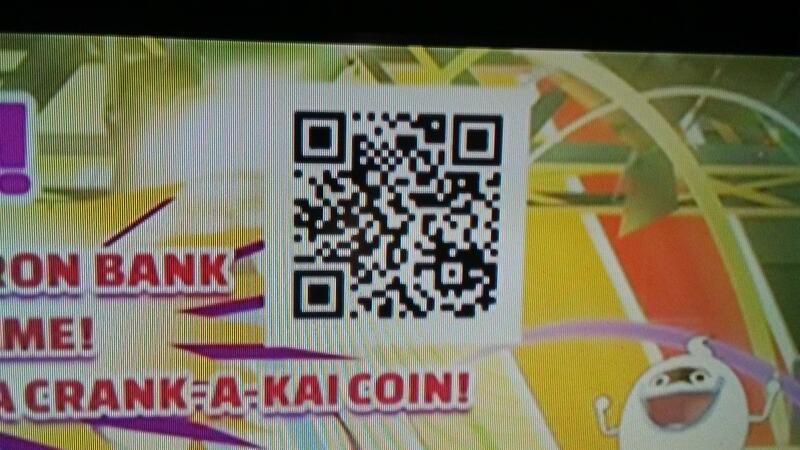 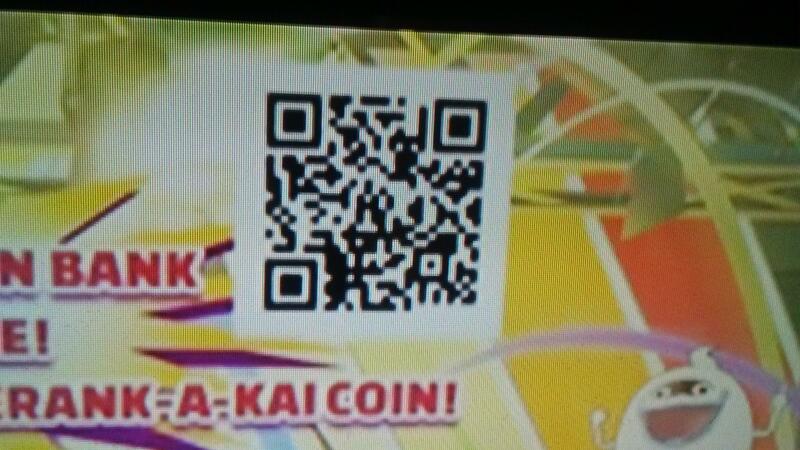 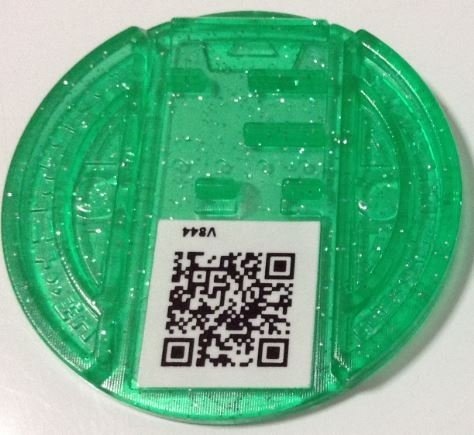 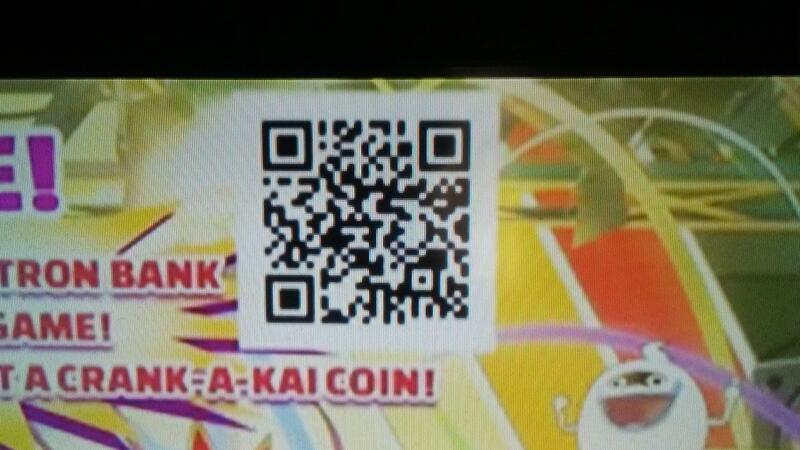 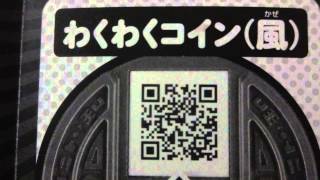 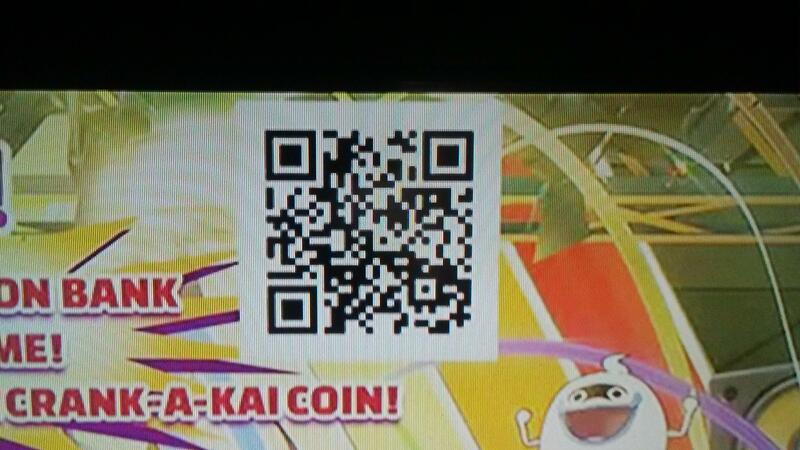 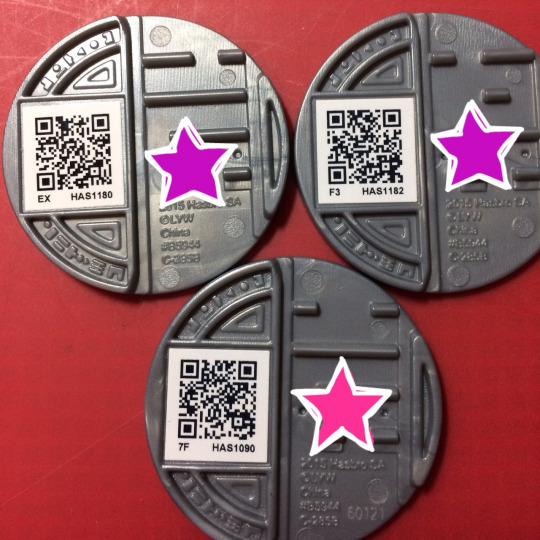 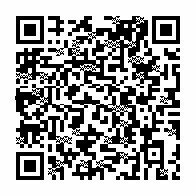 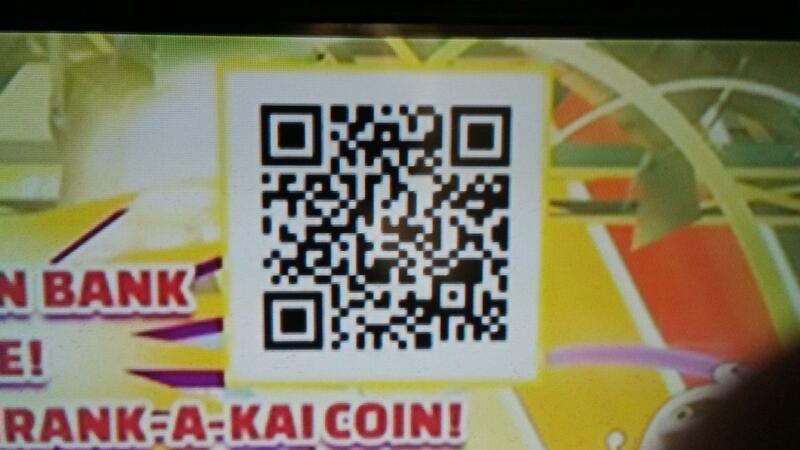 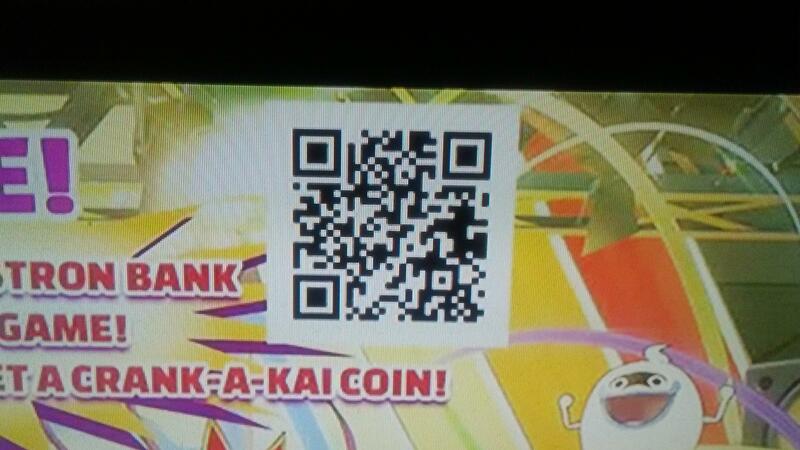 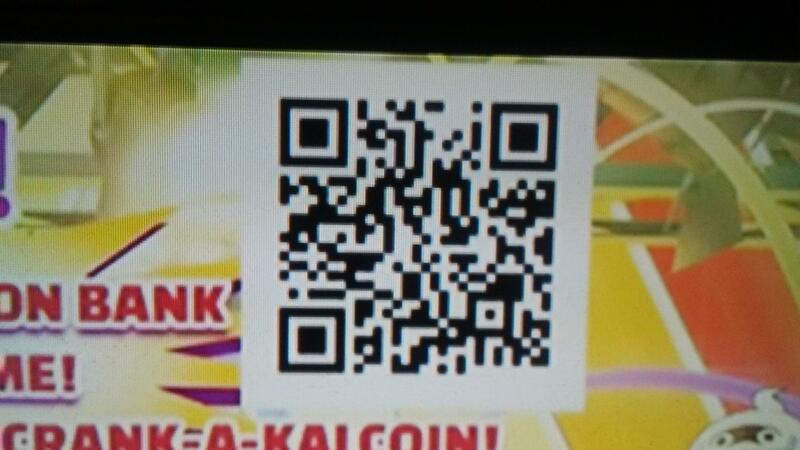 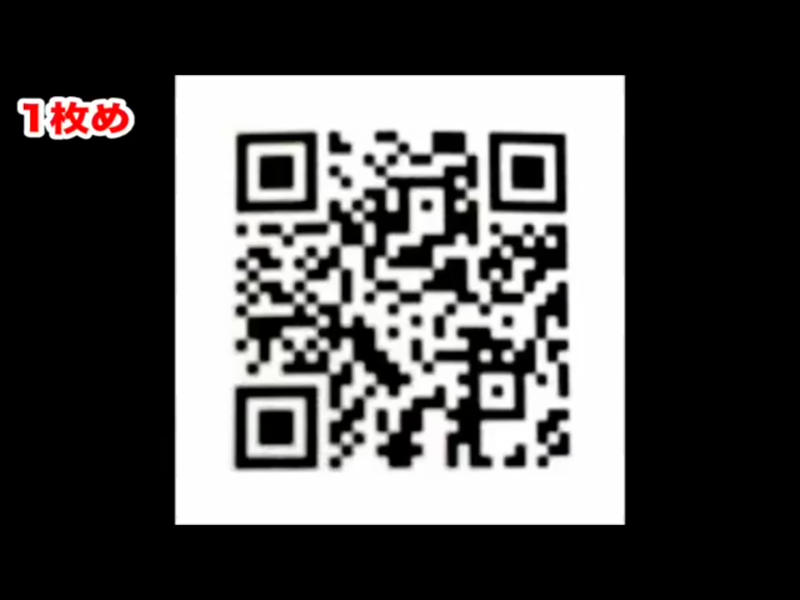 Robonoko (December 11th): if you scan this QR Code at the Piggleston Bank, you will receive the Noko Cog. 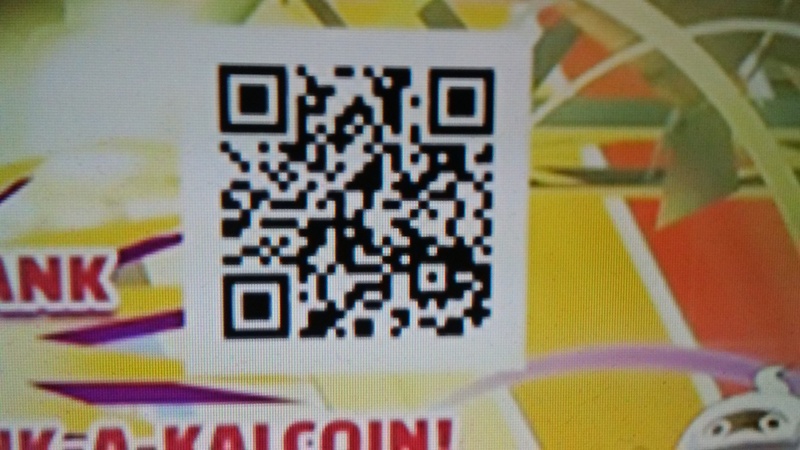 With it in hand, go to the Dingle Falls Station Platform, and Robonoko will be at the furthest left part of the platform. 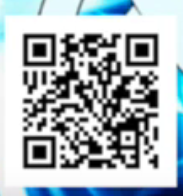 You only have one chance a day to befriend him. 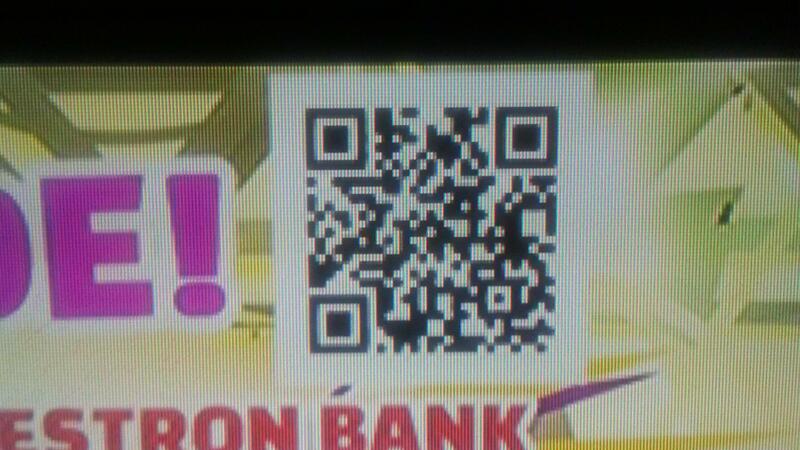 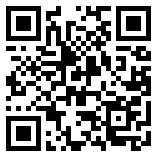 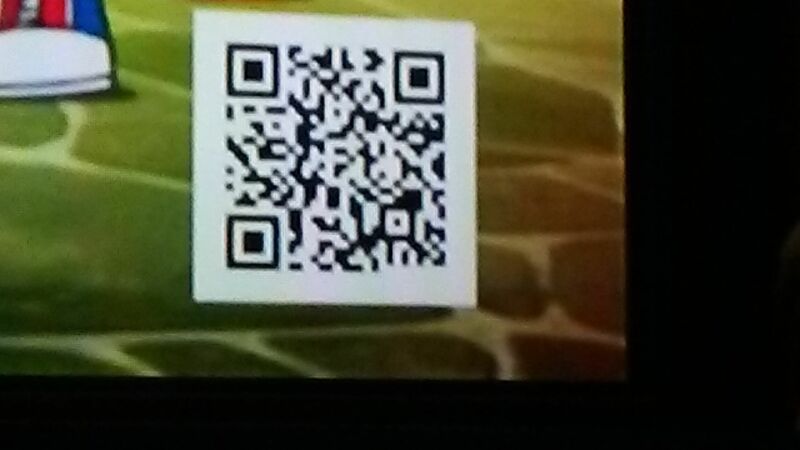 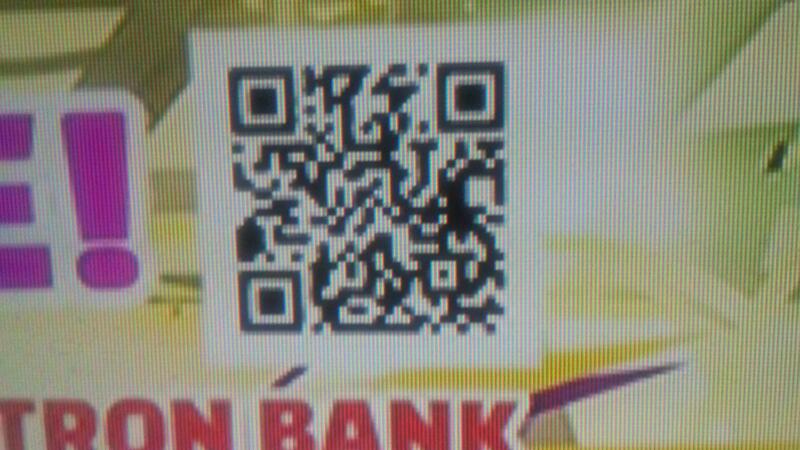 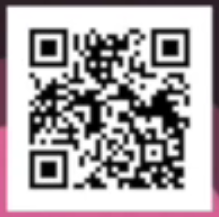 Robodraggie (December 29th): if you scan this QR Code at the Pigglestone Bank, you will receive the Draggie Cog. 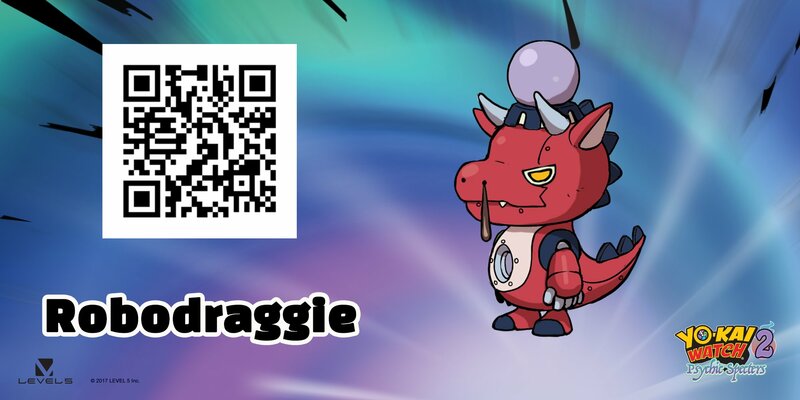 With it in hand, go to the Ridgemont Station Platform, and Robodraggie will be at the furthest left part of the platform. 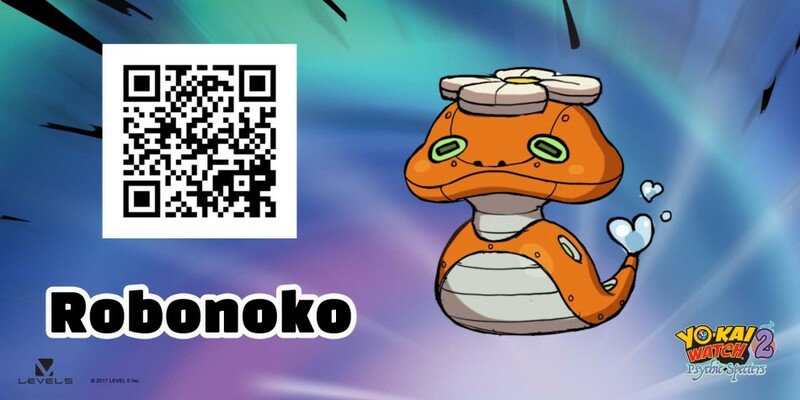 You only have one chance a day to befriend him. 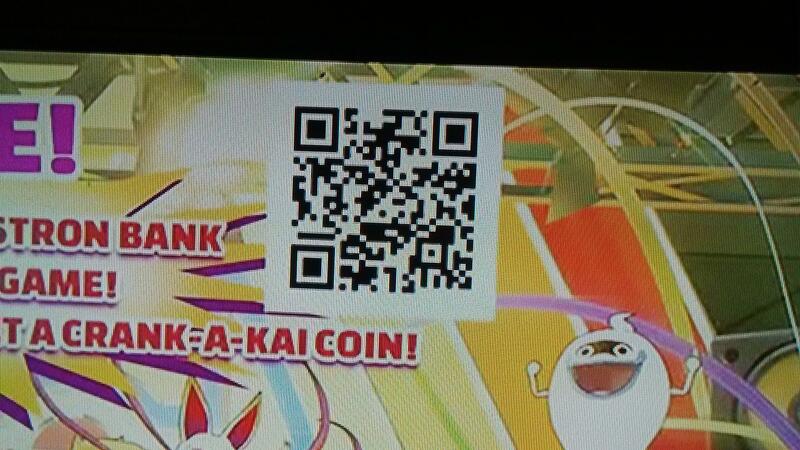 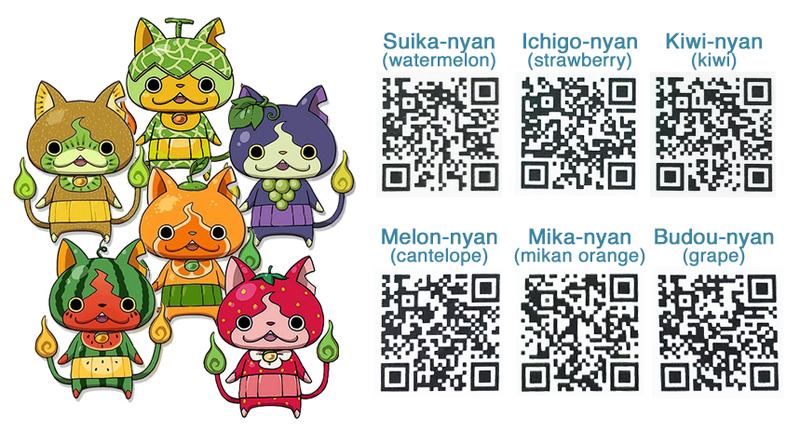 NB1: all the QR codes from Yo-kai Watch can be used in Yo-kai Watch 2: Bony Spirits / Fleshy Souls! 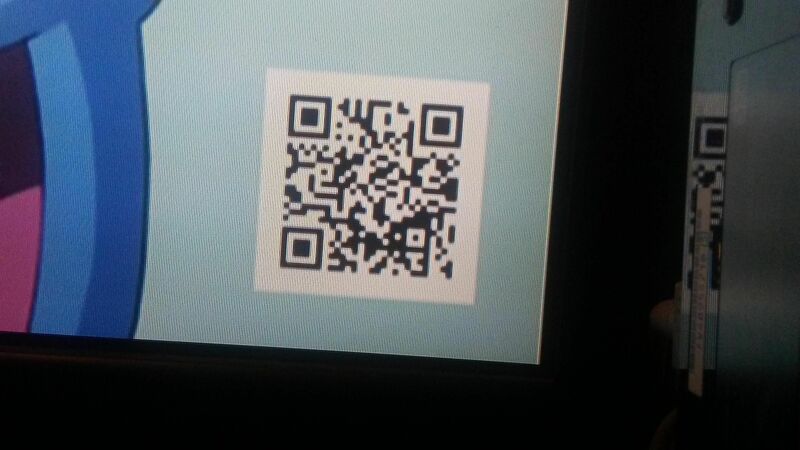 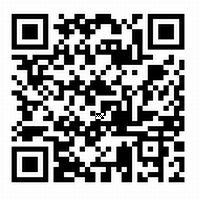 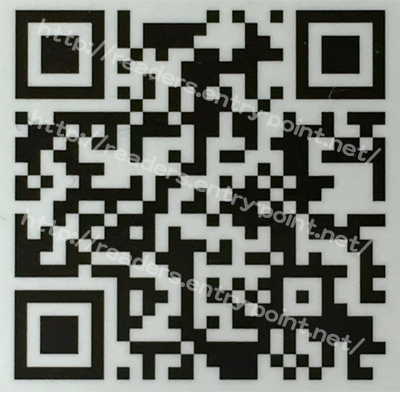 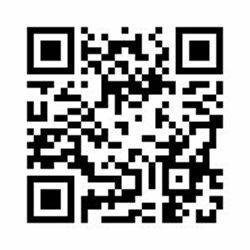 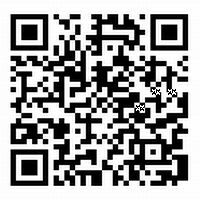 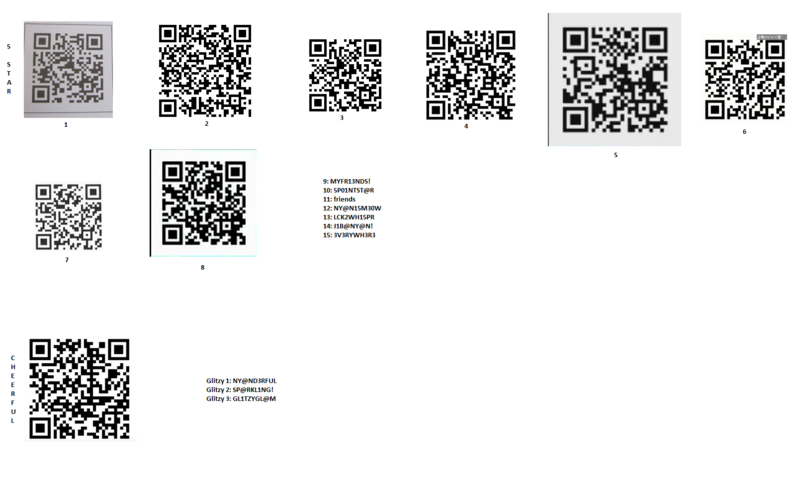 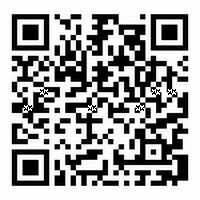 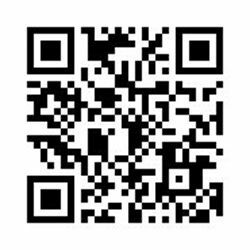 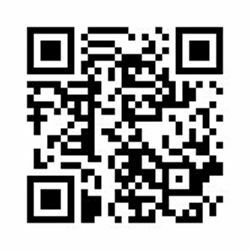 NB2: we are still updating this page, adding more QR codes and codes. 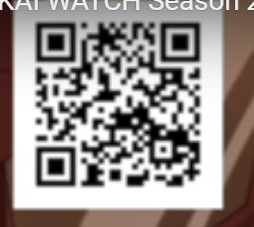 Come back later for more!